Excellence in dentistry begins with a careful co-diagnosis and treatment plan to establish the goals we will achieve together. Communication and long-term relationships are important to us. Let us know what is on your mind and ask questions. We will help you realize an investment in yourself pays dividends for a lifetime. We are caring, skilled dental professionals, dedicated to simplifying what is often a very complicated and confusing area of health care. We want all our patients to be informed and knowledgeable about their dental health care, from treatment plans and services, to insurance coverage. Dr. Pourshirazi earned his Dental Degree from Tufts University School of Dental Medicine in Boston in 1994. He is a member of the ADA, CDA, and Tricounty Dental Society. He is experienced in all areas of general dentistry, including crowns, bridges and cosmetic dentistry. 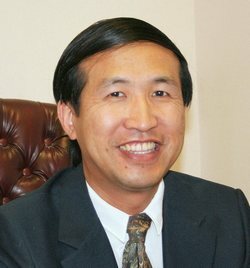 Dr. Chen is an experienced prosthodontist and is a graduate of Loma Linda University. He has been a faculty member for many years. Dr Chen specializes in dental implants, dentures and overdentures and uses the latest technics in bone graft and dental implantology. 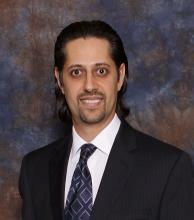 Dr Hanasab earned his Dental Degree from USC School of Dentistry in Los Angeles, Ca. He is a member of the ADA, CDA, AAP, and San Fernando Valley Dental Society. He is well trained in all aspects of periodontics and has a strong clinical background. Dr. Dang is a general and cosmetic dentist. 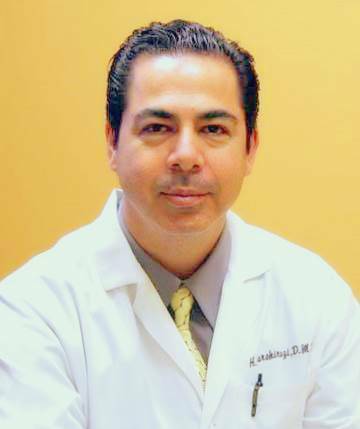 He attended the Loma Linda School of Dentistry and graduated Doctor of Dental Surgery in 1993. He is a dedicated and talented doctor. He uses his skill and excellent communication to educate and care for his patients with the utmost attention. His patients often complement him on his great chairside manor and sense of humor. Dr. Dang has 2 beautiful girls and has been married for 15 years.